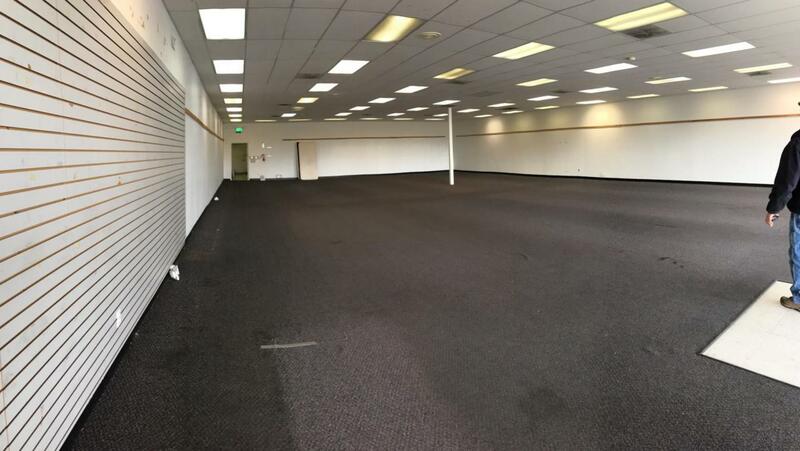 Large open carpeted showroom. Slat walls for shelving & racks. Storage room and back office area.